It has now reached the point of utter absurdity. For the first time in 10 years, Derek Jeter is a free agent. Jeter, whose historic career has produced 5 championships, the most hits in Yankees history, and a .314 batting average, has become an iconic player and the face of the most successful franchise in sports. 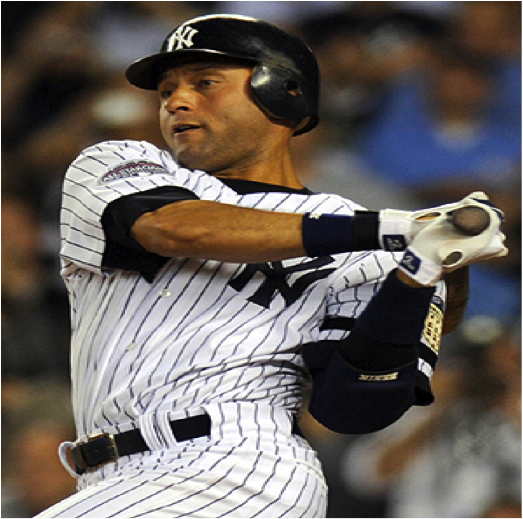 However, after the worst offensive season of his career and whispers that his age is affecting his range in the field, contract negotiations between Jeter and the Yankees have become complicated and have turned into a war of words through the media. The Yankees, who have reportedly offered Jeter a 3-year deal worth $45 million, believe they are being more than fair for a 36-year-old on the decline, coming off his worst statistical season in which he batted .270 and had an on-base-percentage of .340. Is it ridiculous that $15 million a year isn’t enough for Jeter, who just completed a 10-year, $189 million contract? Absolutely, but what the Yankees don’t understand is that Jeter is worth so much more than his contributions on the field. Not only has Jeter been a huge part of a dynasty producing 5 championships and several more deep playoff runs, but he has also restored the Yankees to their customary level of dominance and superiority. He has sold tickets, jerseys, and is by far the most beloved Yankee. While there is little to no chance that he will ever play in another uniform, the contract negotiations have become silly. The Yankees have the money and must understand that he is the ONE player they can afford to grossly overpay. It is clear that anything beyond 3 years would be too much at this point in his career, but why not raise the yearly offer? Pay Jeter $18 million a year and keep him on as a coach for a huge salary which won’t count against the payroll, and he’ll be happy as a clam. This dispute needs to end now before any more damage is done. Please, don’t insult the captain. This entry was posted on Tuesday, November 30th, 2010 at 12:24 am and is filed under Uncategorized. You can follow any responses to this entry through the RSS 2.0 feed. You can leave a response, or trackback from your own site.